Get Back Into Ladies See the Light!! 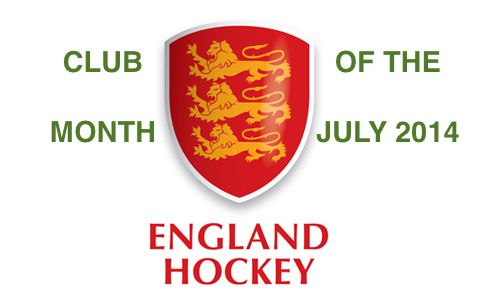 A highly successful programme during 2016 saw 28 Get Back Into Ladies join Norwich Dragons Hockey Club, all of whom are now fully embedded into the Club. 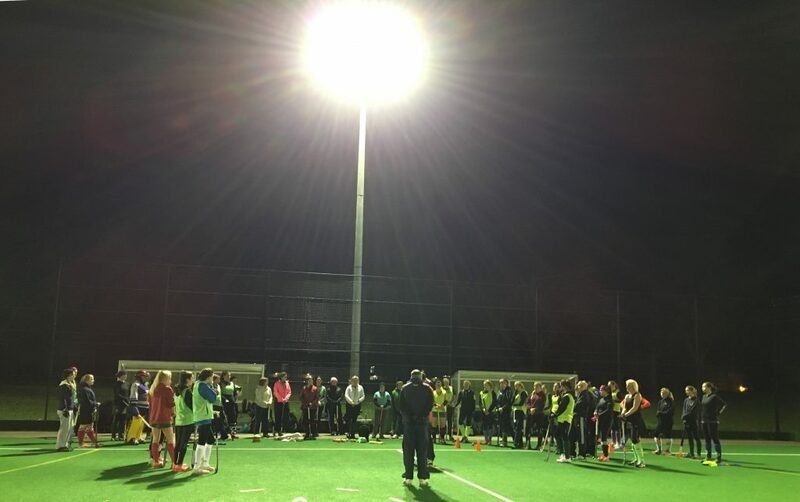 With 19 Junior Girls moving up to Adult this season and 23 players joining from other clubs/schools, Dragons has 70 new adult ladies to coach and inspire across their 8 Adult Ladies teams. Amongst the 28 ladies joining under the Get Back Into banner, the Club had complete beginners, many that played at school 10-15 years ago, but some ladies that haven’t played for 25 years! 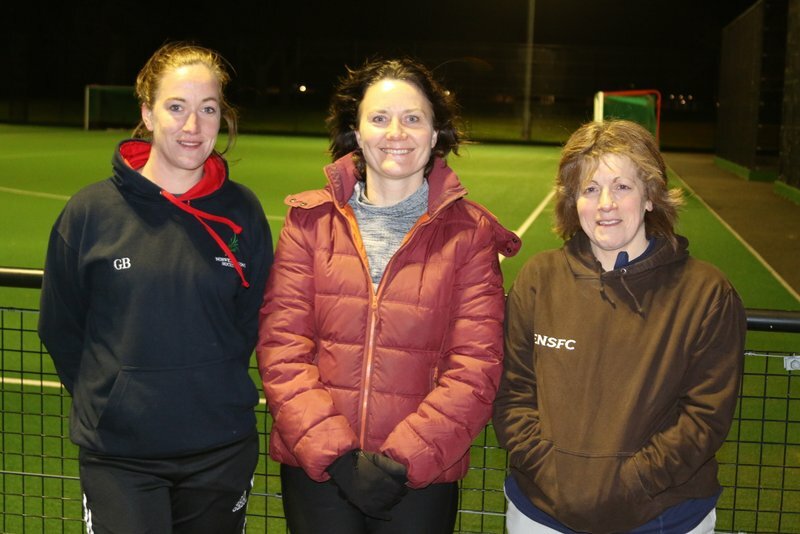 Players returning to the sport this season can be found in the Dragons Ladies 4s, 5s, 6s, 7s and 8s. I last picked up a hockey stick in 6th form. I went to a school which was really keen on hockey and had loved it. However I was too nervous to join the uni team as I didn’t know anyone who played there. So the hockey gear went into the attic for the next 20 years! A few years ago my daughter started playing for Norwich Dragons, I was amazed at how relaxed and inclusive the club was. Watching her play matches made me realise that I was in danger of becoming one of those shouty, competitive parents, purely because I was itching to get back on the pitch myself! I plucked up the courage to attend a “Get Back Into” session this past summer…telling my family it was “just an hour on a Monday night for a few weeks”. I was apprehensive about going as I knew no one but the coaches were so friendly and didn’t laugh at us when we started talking about the offside rule. It all came back really quickly, though despite being a runner, the first few sessions caused severe issues walking downstairs the next morning! I have become completely addicted to it and wake up with a smile when it’s hockey day! After a few weeks I told my husband I had officially caught the hockey bug! The only challenge is juggling family life, I have to accept I can’t play in all the matches I would like to. My friends call it my mid-life crisis though I think it’s a pretty tame one. Playing team sport again with a group of women who are all so different, but who have such a laugh is really rewarding, way more interesting than running round the block. I wanted to try something new so searched for taster sessions on Active Norfolk. I only played a little bit of hockey at school in P.E lessons but I remembered liking it. 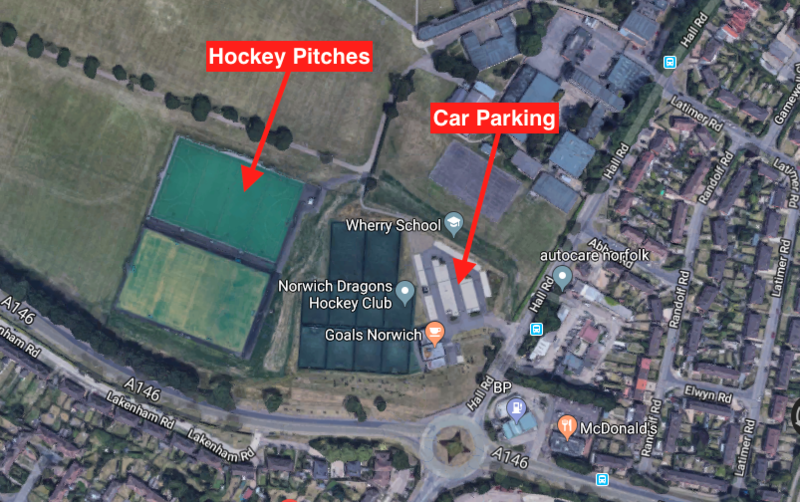 Norwich Dragons was just down the road from me and I had also read that they were a really friendly club, which turned out to be true! I was really nervous that I would look silly, be judged for not being very good or fit enough, so I convinced a friend to come with me. I didn’t need to be nervous as the sessions were great fun with a mixture of skills and games. We were able to borrow sticks and shin pads but unfortunately these things didn’t help me from falling over! My Son Alex plays hockey and I have always enjoyed watching him play. I was very nervous in starting hockey, as I didn’t know if I would be good enough, having not played for 25 years. The coaches made the get back sessions very relaxed and welcoming. I have found captain Katy very encouraging and feel the Dragons 8s is very friendly and a good team spirit. Wanted to get fit but running not inspiring enough, being part of a team gives the drive to keep going. I would like to say how easy it was to get involved from the first email – I made an enquiry and was given a wealth of information about different options which made me feel ‘at ease’ about joining in! It had been 8 years since I last played, and 10 years since I played at school. Having tried out another club in the past, I felt a change of direction was in order. I worked at Goals so became familiar with some of the Dragons faces, and wanted to join about 2 years before I did! I was nervous, as I knew Dragons was a well-established club and couldn’t possibly imagine I would fit in, but from the first session I was greeted by the coaches and made to feel like I belonged. As soon as I got home from that first ‘Get Back Into’ session, I knew I had fallen in love with hockey again and couldn’t wait to train again. That feeling still remains, after every training night and match day. I am astounded by the commitment of all involved in Dragons, but most prominent of all, how friendly and welcoming they have been. I wouldn’t recommend anywhere else to anyone who asks. I am proud to be a Dragon! I stopped playing hockey when I left university, mostly because I was under the impression that any club hockey would be too serious and demanding. I also had no idea how to “find” a club – at school and uni it was there for the taking. So I sort of forgot about it and started playing tennis instead. It was only 17 years later when I started taking my 7 year old to sessions at Dragons did the itch begin to resurface. A friend who had recently re-started playing through a Get Back Into session at Dragons was the prompt I needed to go along and give it a go. It could have gone either way, and I was sort of expecting to hate it, but after two sessions I was hooked. Nothing beats a team sport, no matter how old you are, and when you also have like-minded friendly people to play with and a very encouraging, enthusiastic and approachable coaching staff it makes you look forward to it every week. So, actually my first “Back to Hockey” session at NDHC was much easier than the second. Having not picked up a stick in 21 years and having previously graduated from the school team to my then local team North Walsham, the one thing that I hadn’t thought about before turning up was that I wouldn’t know anyone. Rather I worried about whether I could still play or perhaps the game had moved on so much that I would be lost. I needn’t have worried about any of it. I love the club spirit and had forgotten how much fun it is playing in a team game having filled the last 21 years running marathons and doing other sports challenges I felt I wanted that team thing again. I was made to feel so welcome and I now feel like I’ve been playing for Dragons for years! I have to say that having played against other teams this year I’m really glad I joined NDHC. Never played hockey before and wanted to try something new and different. Norwich Dragons have made me feel very welcome. I played hockey at school and university and am interested in playing again. I last played about 25 years ago just watched your films on the side of the website about back to hockey and it looks fun. My daughter has just started coming along. It seems like a lovely, friendly club. I was wondering about whether you have a session suitable for me please, mid -30s and not played since my school days! So pretty rusty! Three of our Get Back Into ladies having just finished another Dragon Training Session, Gemma, Louise (Brooksy) and Anita. This entry was posted in Latest News on January 22, 2017 by admin.